Isabela Moner Surprises Families at Seacrest Studios in Atlanta! 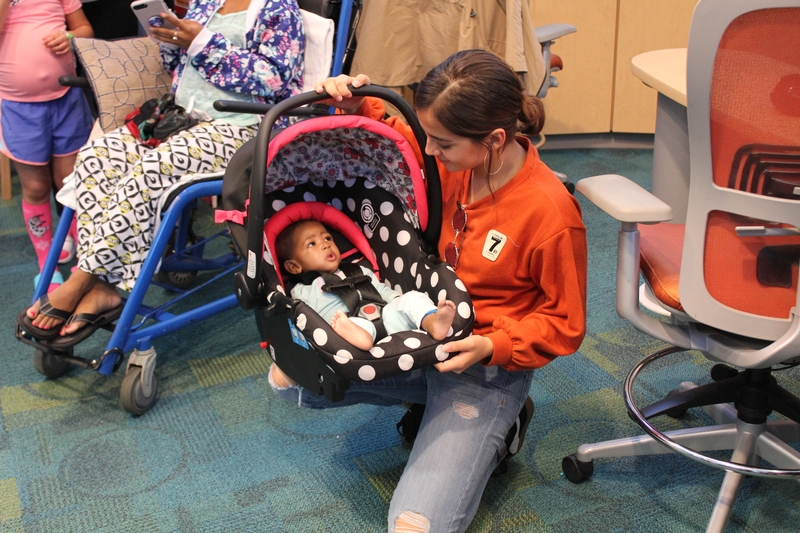 The multi-talented Isabela Moner (actress, singer, songwriter, dancer, & Ukulele player), surprised patients and families at Children's Healthcare of Atlanta when she popped into Seacrest Studios on her way to the nearby neighborhood set where she is currently filming the dramedy, Instant Family. She may be best known for her lead role on the Nickelodeon television series, 100 Things To Do Before High School or as Izabella inin the 2017 film, Transformers: The Last Knight, but soon she'll be known for her role in Instant Family - a relevant film that shows the importance of adopting foster children. Patients wanted to know what type of film she'd like to do next and were surprised when she said "an alien blaster/Atomic Blonde type movie where I can train and get really jacked for a role!" Her dream co-star? Natalie Portman. Favorite cheat treat? Girl Scout cookies! Once the filming for Instant Family wraps, the 16 year old hopes to get her driver's license. Before heading to the set, Isabela inspired us with her words to live by - "Today is the most important day of your life. You've got to look at every day like the most important otherwise you're just existing, you're not living." Thank you Isabela! Your visit was definitely the highlight of our day!